The travel industry is complex and complicated. We could even call it what it really is: messy. Billions of travelers, millions of flights, thousands of hotels, hundreds of countries, dozens of apps per phone, a few major GDS systems and one question for travel technology: how do we connect everything seamlessly? This is a question Switchfly wants to discuss at The Phocuswright Conference in Ft. Lauderdale, November 7-9. Much of the narrative in the travel industry is around disruption, rather than connection. Disruption and innovation are equally important and necessary for your business’ growth, but are we reaching a point of too much complexity? Could all the new travel innovations be causing more parts to become even more disconnected? The main priority of travel technology should be to better connect the complex ecosystem of vendors, partners and channels. For businesses, this allows you to reduce costs, mitigate risks, communicate effectively and capture new and higher ancillary revenues. For passengers, this means a better experience from the moment they decide to travel, all throughout their trip, and even when they get back home. Our ability to create connections at every point along the traveler experience is what drives Switchfly to develop innovative, valuable solutions – that providers can then use to strengthen their customer relationship. Travel experiences are about providing passengers with variety, new experiences and new connections – and loyalty programs enhance these experiences with the rewards and merchandise they offer. By making better connections across travel verticals, providers can give loyalty members a deeper source of inventory to choose from, whether it’s adding a luxury hotel to a flight booking, renting a car through a hotel or scheduling a destination activity. Providers can also use our loyalty platform to “control the offer” and ensure that they are incentivizing the right loyalty spending to maximize business efficiencies, customer loyalty and ancillary revenue. Switchfly’s loyalty solution ensures that business rules and parameters are seamlessly integrated with our robust global inventory of air, activity, car, hotel and insurance products for customized loyalty member offers and great travel experiences that reinforce traveler loyalty. Online travel agencies have pioneered the ability for travelers to book trips across verticals and add value for multiple travel providers. Travel providers can offer the same booking power directly through their own booking engines with Switchfly’s booking engine and packaging solutions. Switchfly powers a deep global inventory of ancillary travel products completely brand-matched with the provider’s website: your brand, our platform. Switchfly also offers a white-label booking engine as a plug-and-play solution if integration with an existing system is a no-go. OTAs have set the bar high and as travel providers invest more in direct channel booking, they need a powerful booking engine but also the managed vendor relationships that make packaging, upselling and cross-selling possible and cost-effective. Booking decisions are never final and travel providers need capabilities to target and re-target travelers between the purchase point and time of travel. This is a prime opportunity to connect customers to ancillary merchandise in other travel verticals, and integrate booking with loyalty and other marketing efforts that will incentivize additional purchases, upgrades and spur-of-the-moment travel decisions. Switchfly’s post-booking solutionallows customers to build their own travel packages and but still checkout with one transaction, one payment all under one confirmation number. The global ancillary market is expected to reach $180B by 2020 and travel providers have tremendous opportunities to capture more share of wallet – but they need the right travel technology to manage their efforts. Earlier this year, Switchfly applied our travel commerce platform to one specific problem that has gone unsolved for too long: flight cancellations and travel disruptions due to irregular operations (IROP), which require re-accommodation for stranded passengers. This might seem like a problem that can only be fixed by high-level, back-end solutions for better operations management or maybe next-gen air traffic control. Switchfly, however, is solving this problem from a different angle: the passenger experience. Switchfly’s IROP solution manages re-accommodation directly through mobile devices, creates ancillary revenue opportunities and helping airlines transform IROP from a liability into an opportunity to earn customer satisfaction and loyalty. Passengers can view available hotel rooms on their mobile device and select the room of their choice without ever seeing the price or having to approach the airline’s kiosk. Switchfly provides the platform to make these connections, but the customer experience is brand-matched with the airline for a seamless experience: your brand, our platform. Airlines save up to 50% on the cost of a hotel room by leveraging Switchfly’s global network of more than 410,000 unique and verified hotel properties, and save more than 25% in overhead associated with managing disruption crises. 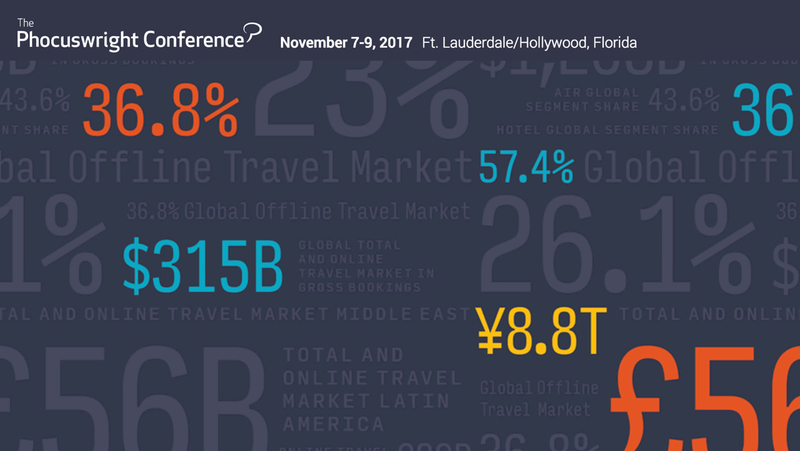 The travel industry may be messy, but many of its problems and challenges come down to a lack of travel technology that works across verticals and allows providers to connect their inventory with other sources, create better experiences for travelers, drive ancillary revenue and create more loyal customers. Switchfly is connecting disconnected parts and transforming travel one problem at a time: loyalty, booking and packaging, post-booking and IROP management. Are you attending the Phocuswright Conference in Ft. Lauderdale? Let’s set up a meeting to discuss our travel commerce platform, how you can better connect with travelers, create more loyal customers and ultimately grow your business.